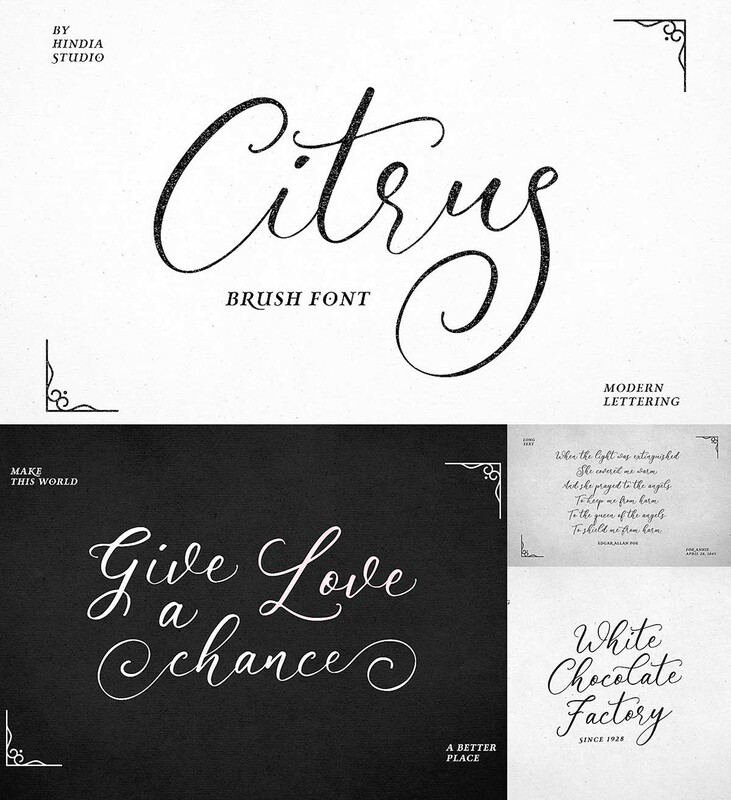 Introducing Citrus -handmade script with a soft elegant touch. It feels natural, friendly, and timeless. Citrus script can be used for various purposes such as wedding invitations, thank you cards, quotes, greeting cards, logos, business cards, and etc. File format: .otf, .ttf, .woff, .woff2, .eot for Photoshop or other software. 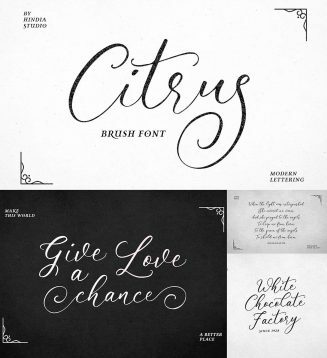 Tags: brush font, display font, elegant font, modern calligraphy, signature, wedding font.